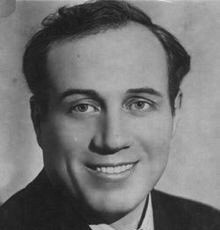 The Russian tenor Ivan Semyonovitch Kozlovzky was born at Marianovka near Poltava, Ukraine, on March 24, 1900. He studied at Kiev, drama, piano and singing with Lissenko and Mouravyova, and debuted in Poltava (1920) as Faust. He then moved to the Kharkov Opera in 1924. A leading tenor at the Moscow Bolshoi from 1926 to 1954, Kozlovsky continued to appear in opera until 1970 (as the ‘Innocent’ in Boris), and continued to perform in public afterwards singing for Mark Reizen’s 90th birthday celebration at the Moscow Bolshoi (4 July 1985). Kozlovsky regularly gave concerts throughout Russia including in them unexpected and diverse music by e.g. Schumann and Liszt, as well as songs by his beloved Tchaikovsky. He created his own company c1938, which enacted Katerina of Arkas, Orfeo and Werther. WW2 ended the company’s activities and he returned to lead at the Bolshoi. Kozlovsky’s popularity was phenomenal, followers setting up fan clubs and support groups which cheered him at every performance (which fed his arrogant, though notably generous, character). He died in Moscow on December 23, 1993.